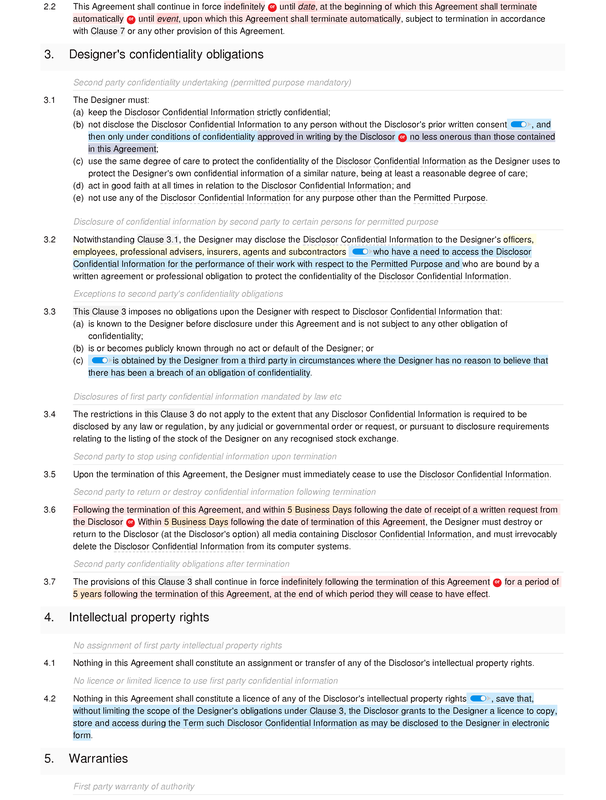 Web designers and developers need to know the details of a project before quoting; but their clients are often concerned about disclosing their business ideas without any form of legal protection. 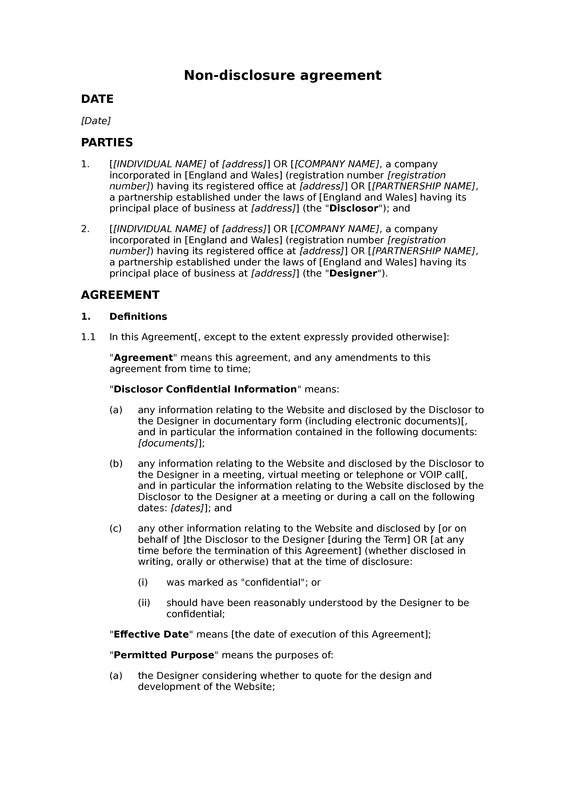 Those ideas usually need to be disclosed before a full web design or development contract has been executed, so the client cannot usually rely upon confidentiality clauses in the designer's or developers T&Cs of business. 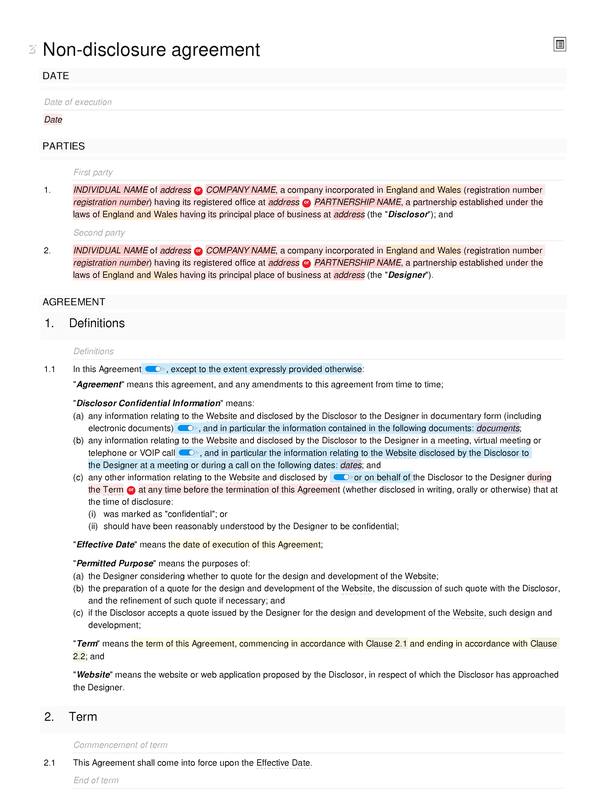 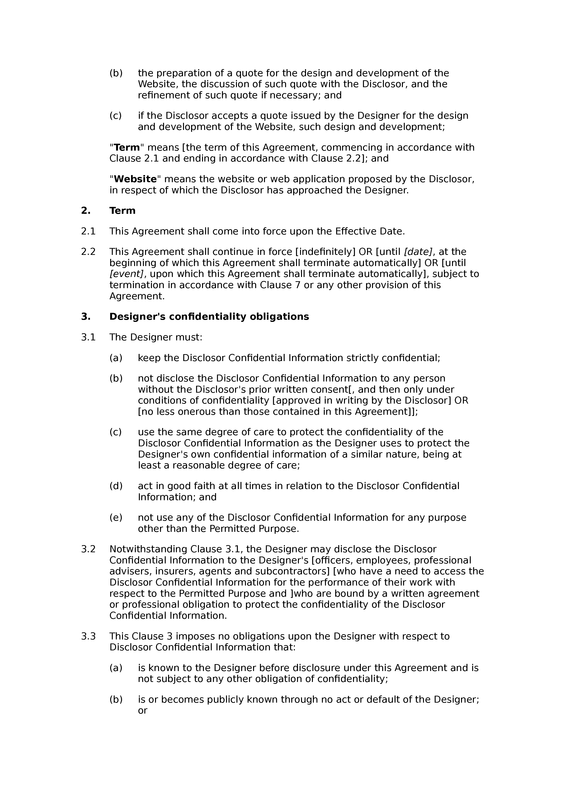 That is where a specialist non-disclosure agreement can be useful, offering protection from the confidential information of clients whilst making it clear that the web designer or developer will not restricted from using its own or any public information. 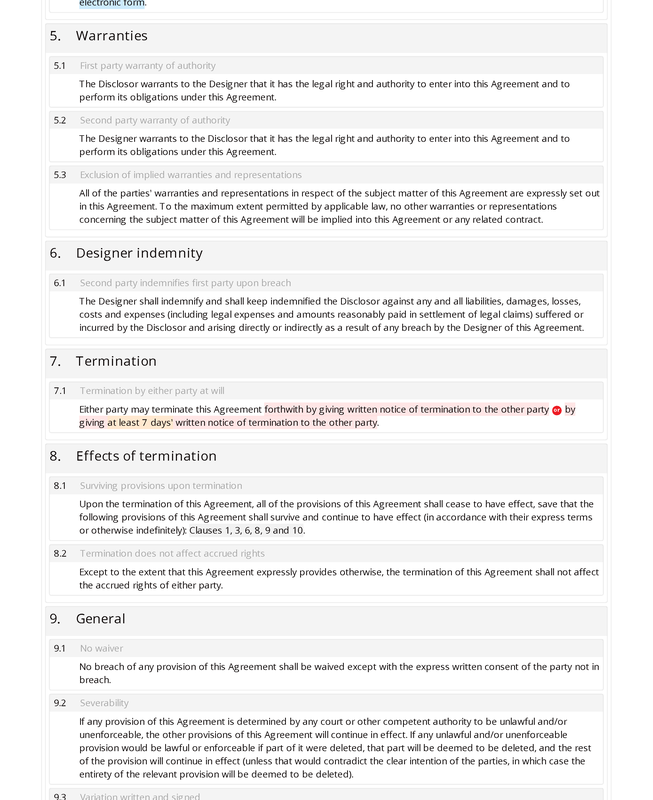 This document is a variant of our one-way or unilateral NDA, designed for use in these particular circumstances.